Incorporating some of the latest technological advances, the Star Trac E-TRXe Treadmill proves to be sturdy enough to illuminate any gym, but elegant enough to bless anyone’s home. With the presence of a 15” HD screen built into the actual treadmill, users are given an advanced opportunity to associate media with exercise, which makes for a more pleasing workout; not to mention, the time fly’s by as the calories fly off! Additionally, the E-TRXe has an iPod and USB connection option so that the user is able to listen to music, and/or upload media content right to their fitness machine. In addition to all these great media features, this treadmill also incorporates easy access Hot Bar handrails, which make shifting the speed and incline an easy task. 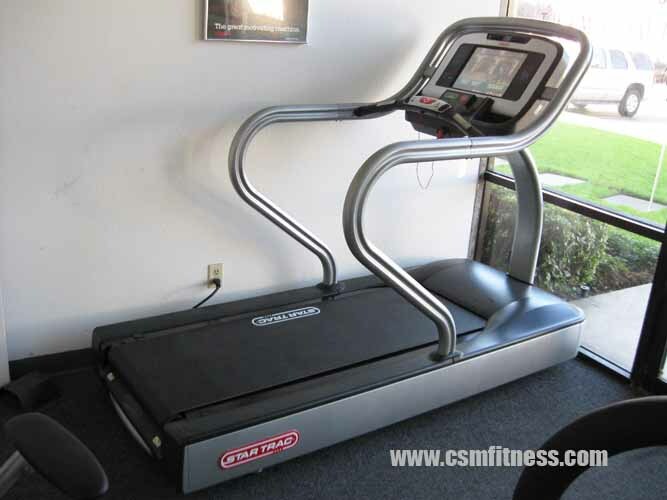 Lastly, this treadmill is especially desirable because of its newly increased 20% max incline. Program Options 18 workouts including: Dynamic Heart Rate Control, Constant Heart Control, Fitness Test, Firefighter Test, ARMY Protocol, USMC Protocol, USAF Protocol, NAVY Protocol, and three custom workouts.